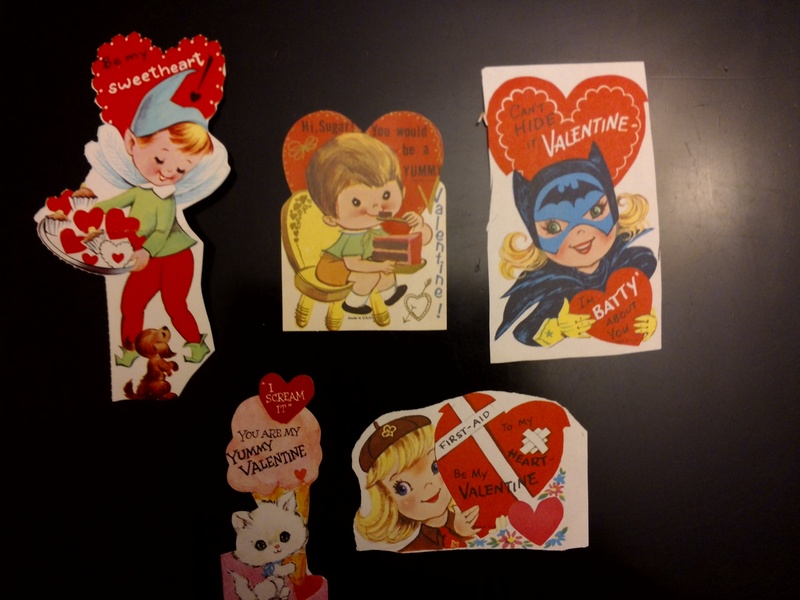 This entry was posted in This Nerdy Chick and tagged retro valentines, The Hog Prince, Valentine's Day puns, Valentines and Pop Culture, Valentines Day books, Valentines Day Word Games. ← New Giveaway! A Skype Classroom Visit! How fantastic! 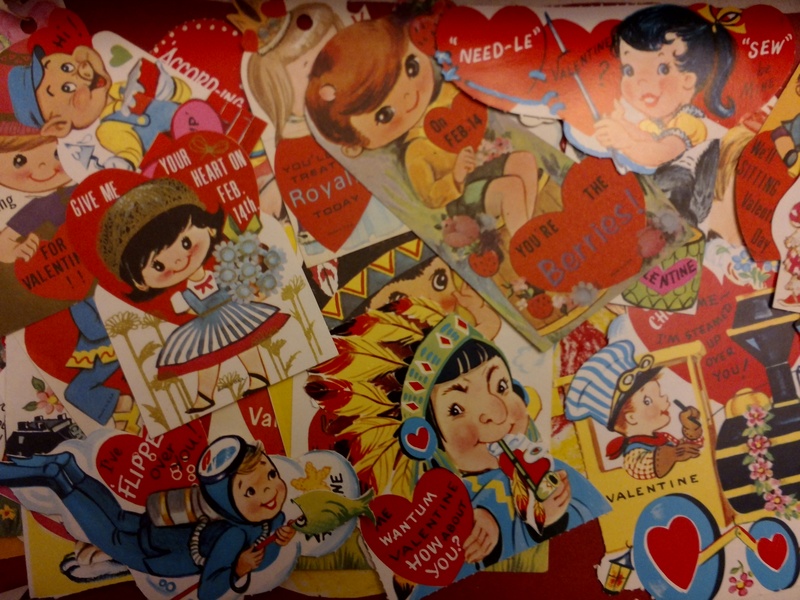 Last night I watched my daughter attach tiny magnetic guitars to her preprinted Valentines (“You rock Valentine!”). When she asked what Valentines looked like when I was a kid, I really couldn’t remember very well. I’ll have to show her this post so she has some idea. Happy hearts, flowers and candy! You are right Donna, I am my mother’s daughter. 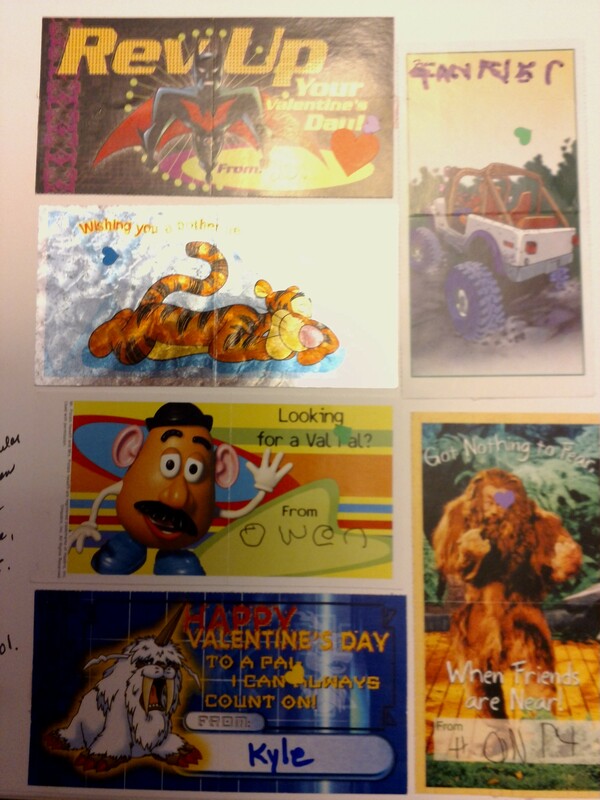 We always think we’re unique individuals but… I was temped to post pics I saved of my daughter’s valentines too… which included Barbie and Veggie Tales, but the post was on the long side already!